As the campaign for The Office of The Washburn County Sheriff comes to an end, Dawn and I have a lot of people to thank. This campaign process was much more labor and time intensive than I ever could have imagined. It became obvious from the very beginning that a political campaign is something that cannot be taken on alone. Early on, people in the community started contacting us and offering any assistance that could further our campaign. Some of these people have been lifelong friends, but many are associates who had a desire to have me as the next Sheriff. This assistance took many forms, including meeting locations, event venues, newspaper positioning, billboard and sign locations, and the list continues. I have to mention the great success of my Team’s fundraising event. The turnout was unbelievable and the folks were very generous. Getting this support really made us feel like the community was there, pulling for us. The entire process is a roller coaster ride. Some days would go really well, while other days not so well. Through the hard work and exhaustion, we were always motivated by our team and many community contacts. They continually boosted us up and provided us with encouraging handshakes, winks, thumbs up, and hugs when they were really needed. We continually tried to provide any information that could assist the voters in making an informed decision. We used the same criteria that would be used to assess any candidate for a new job: Education, Experience, Relevant Training, and past work Performance or Achievements. We had a great desire to have a public debate, but when that didn’t happen we found other ways to provide unlimited access to me in order to ask questions and express concerns, face to face. I really value the time many of you have spent talking with me during the past few months. I’m hoping that on Tuesday, when you go to the polls, you think about where you have seen me during this campaign. Think about our conversations, and if you thought I was knowledgeable about Sheriff’s Office operations. Consider those critical points: Education, Training, Experience, and Accomplishments, which have prepared me to be your Sheriff. I hope you decide that I am Proven & Prepared! Living in Washburn County for my entire life, and being a part of the community, gives me confidence, as my friends, family, and neighbors are the electorate. With this confidence comes a heavy weight of responsibility, as I don’t want to let you down. 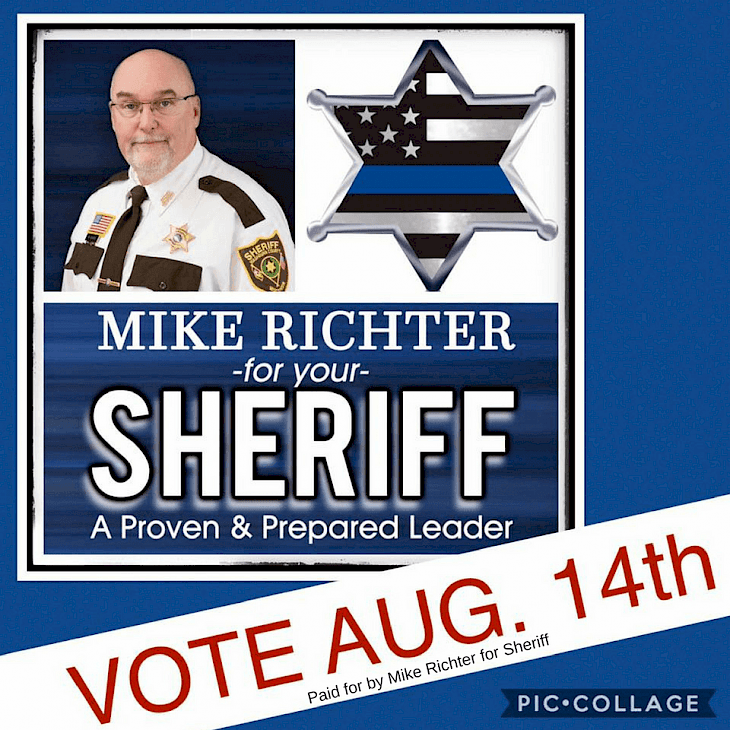 If elected as your Sheriff, be assured that I will work hard to maintain Washburn County as a safe, fun, and healthy place to live. This is my home, too! Dawn and I want to thank you for all of your past and future support!